Traveling to Japan is actually never a bad idea to do and you would never regret doing so. The country is literally filled with amazing places to visit and each of them offers different satisfying experiences. Well, there are several cities in the country that are worth visiting but are relatively overlooked by tourists. There are several reasons why these cities are less popular than the other famous ones, but those reasons do not make them less interesting anyway! If you wish to know them, then, it is advised that you read this article to finish! The first city in Japan that you should visit when traveling to the country is Nara. Well, we are aware that this city is not as popular as Tokyo, Akihabara, or Kyoto, but it is actually the best place to visit if you wish to find serene places to soothe your soul. Nara is actually one of the oldest cities in Japan and it even predates Tokyo-it was actually the capital of the country in the ancient times! If you wish for traditional, historical, and cultural travel, then, it is the best city to do so since Todaiji Temple, which was built in the 8th century and also happens to the wooden building that is the largest ever built in the world, can be found here and you can find the largest Buddha statue in Japan as well. Also, there are several other historical temples that are wonderful. The next underrated cities in Japan that you should actually visit when traveling to Japan is Takayama. 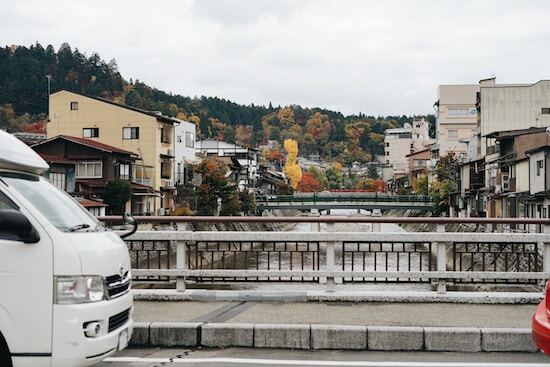 Located in the Hida Mountains, Takayama is one of the few cities in Japan that manage to preserve their traditional atmosphere and it is so good to visit the city to get such an atmosphere! Oh, by the way, if you wish to witness local festivals, then, this city is also the best place to go to since there are so many of them and you might have a chance to see one of them. The area, by the way, is also known due to its clear natural rivers-although swimming in one of them is ill-advised. Oh, also, the sake here is the best and you should try a cup when around the city. Fukuoka is also the next underrated city in Japan that is worth visiting. Alright, we acknowledge that this one is actually pretty famous and it is not as underrated as the other cities mentioned earlier. However, the popularity of this city is still less famous when compared to the most visited cities in Japan like Tokyo or Hokkaido, which makes it the reason why it is included in this list. Fukuoka is a heaven for those who are looking for pleasant culinary experiences since the food here is absolutely wonderful. For those who are looking for an authentic culinary in Japan, then, it would not be too difficult here since there are so many yatai (street food vendors with carts) that you can find. Well, those are the underrated cities to visit when traveling to Japan!